Image: Axelle Bauer Griffin/FilmMagic/Getty Images, Mint Images/Getty Images. Design: Ashley Britton/SheKnows. Some celebrities have meticulously curated social media feeds that only feature their most glamorous moments. 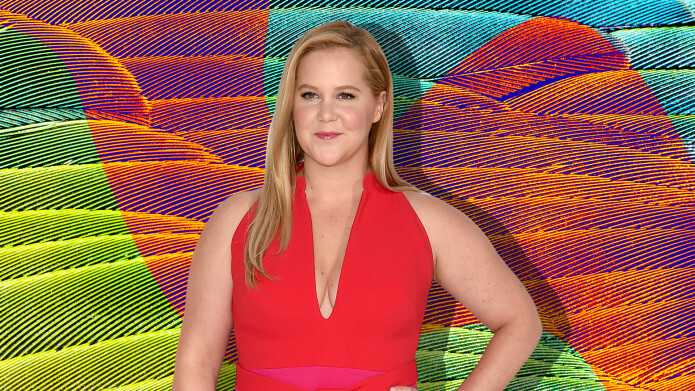 Amy Schumer doesn’t happen to be one of them (bless her heart) and this has especially been true as she’s documented the ups and downs of her rough pregnancy. In a more humorous moment, Schumer’s struggle to put on her socks is racking up “likes” on Instagram — and moms-to-be may want to take notes, because her hack could definitely come in handy. It didn’t exactly move quickly, but the sock successfully made its way onto her foot — and personally, I’m bookmarking Schumer’s pregnancy hack because it looks pretty darn effective. Schumer’s struggle to put on her socks certainly looks uncomfortable, but it’s a walk in the park compared to other details she’s shared about her pregnancy. After being diagnosed with hyperemesis gravidarum, a rare pregnancy condition that causes extreme morning sickness and dehydration, Schumer shared the news on Instagram — and she’s consistently managed to find a sense of humor about it, even when she spent Christmas Day vomiting by the side of the road. We love Schumer’s candor and sense of humor about the realities of pregnancy. And, more importantly, her openness will undoubtedly help expecting moms feel just a little less alone, whether they’re battling hyperemesis gravidarum or just want to put on their socks in the morning without requiring the assistance of a small army.